Looking For Some Great Holiday Party Hors d’oeuvre Ideas!!!! Phillips Foods has you covered! Check out their recipe center for lots of great ideas! For over 20 years, Genji LLC has been rolling fresh sushi in more than 200 sushi bars in Whole Foods locations across the country. Genji is thrilled to collaborate with Whole Foods Market as they launch Genji Izakaya, a restaurant within Whole Foods restaurant row in Center City, Philadelphia. An izakaya, or “place to drink”, can be found in every Japanese neighborhood. These lively neighborhood hangouts are the perfect place to relax and unwind with friends over refreshing drinks and small, tasty dishes. Like the classic izakaya, Genji Izakaya offers a comfortable and laid back setting to enjoy food and drinks for lunch, dinner, or whenever the mood strikes! The Genji Izakaya kitchen is rolling out “japas” or Japanese small plates. 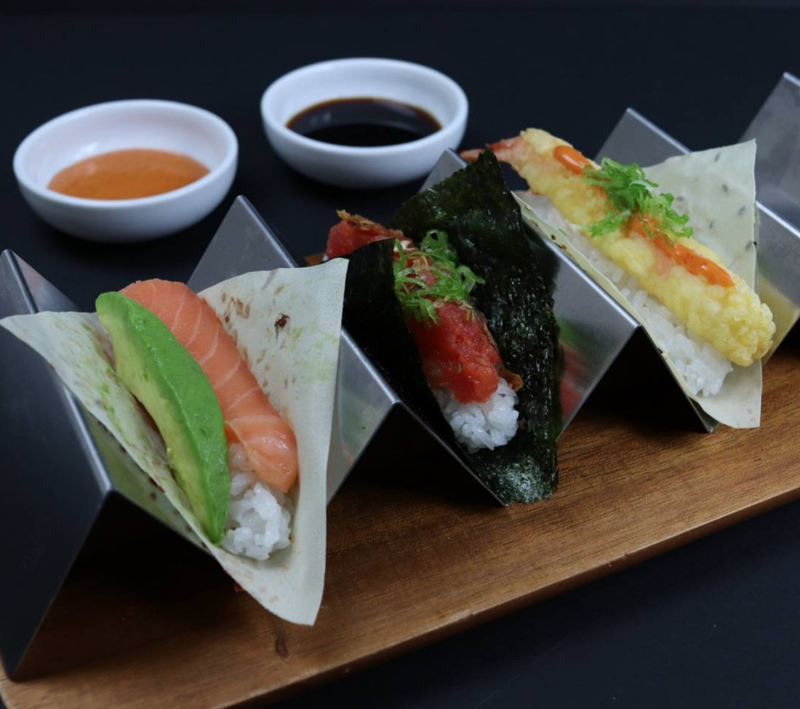 Quick bites like Sushi Pizza, Salmon Carpaccio, Karaage Cones filled with crispy Japanese fried chicken, a variety of poke bowls, and Sushi Tacos are perfect for sharing amongst friends. Order a mini bowl of authentic ramen all to yourself, like Original Tonkotsu, Yuzu Chicken, or the vegetarian-friendly Veggie Ramen, also available spicy. Genji Izakaya is located at Whole Foods Market- 2101 Pennsylvania Ave, Philadelphia, PA 19130. Open 7 a.m. – 11 p.m. daily. Phone: 215-557-0015. Follow Genji on Twitter (@GenjiSushiBars), Instagram (@genjisushibars), or Facebook (GenjiSushiBars). Misconduct Tavern’s Executive Chef Nick Mezzina recently announced a refreshed menu focused on America’s love affair with the burger. But, these are not your average burgers. Mezzina is introducing handcrafted gourmet burgers that will turn any game into a winning night. In addition to beef, other burger options include salmon, lamb, bison, pork, turkey, chicken, grated red beet, black bean, and even a beef/spam blend. 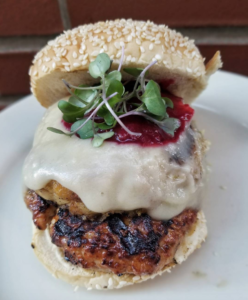 Among these new items is the Thanksgiving Burger filled with turkey, stuffing, cranberry sauce and topped with gravy! Available at both locations, this savory turkey burger will satisfy all of your Thanksgiving cravings this fall. 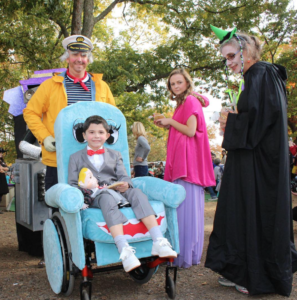 Dress to Impress for Linvilla Orchards’ Costume Parade! Linvilla Orchards is excited to announce the return of their annual Costume Parade! It has been rescheduled to Sunday, November 5, 2017. The event is hosted by Makin’ Music, and participants continue to outdo each other year after year with fun and creative costumes. Each child receives a treat, and three winners from each age group will be awarded with SPOOK-tacular prizes! Make sure you dress in your Halloween best for a chance to win the grand prize of a $100 Linvilla Orchards gift certificate! Pre-registration is now open, and participants are able to register in person on November 5th between 12 and 2 pm. The parade begins at 3 pm, so make sure you are ready for some fun the whole family can enjoy! For more information about Linvilla Orchards’ Costume Parade and registration, please visit https://www.linvilla.com/family-fun/costume-parade.